• Mr Win Casino Review - The Most Free Spins In Any Bonus? Mr Win Casino certainly has a positive name to put players in an upbeat frame of mind. And there are plenty of ways to win here thanks to the hundreds of available games. The site is operated by EveryMatrix Ltd, and these owners are responsible for a host of other online casinos including Spinson, Wonderland, TeamBet, PlayFrank and Jetbull to name but a few. 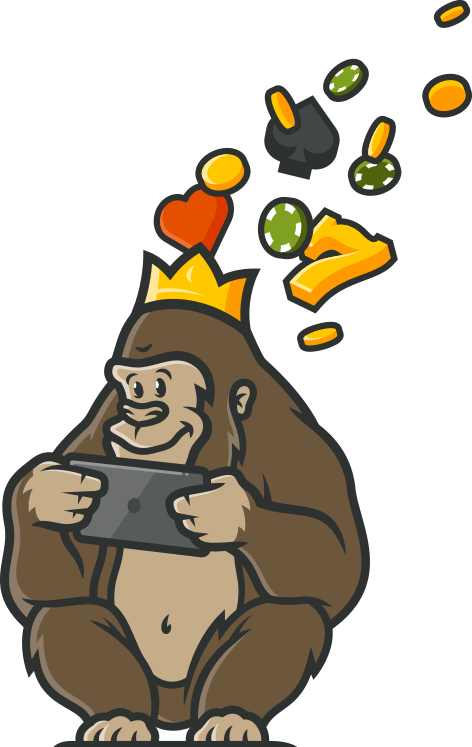 The Casino Gorilla likes to see this kind of experience, as it suggests that the owners know how to create an online casino that people want to play at. Will the big guy decide that this casino is a winner as well? Let’s find out. The Mr Win Casino welcome bonus is rather an unusual one. Unusual doesn’t necessarily mean bad though, after all, our chief casino reviewer is an 800-pound gorilla and you won’t find a better one. The welcome bonus here comes as one of two options: either a cash bonus or free spins. The cash bonus is 100% of your first deposit of up to £100, so if you plan to deposit more than that you should probably take the free spins. £100 or more gets you 300 of those, up to 999 spins if you deposit over £300. That’s a whole lot of opportunities to win big. One reason to stay away from the cash bonus is the very large wagering requirement of 35 times deposit plus bonus. You will have a hard time locating an online casino which is giving away more free spins than Mr Win. These are available on a selection of fantastic NetEnt games, including Aloha, Starburst, Finn and the Swirly Spin as well as fan-favourite Gonzo’s Quest. You will need to turn over any winnings from the free spins 35 times in order to be able to withdraw those winnings. You only get 5 days to complete this wagering requirement, so don’t hang about if you don’t want to miss out. If the bonus expires before you complete the wagering then you lose all your lovely winnings. Every Wednesday more free spins are doled out depending on how many loyalty points you have accumulated. The VIP level players can earn 999 more spins a week if they play enough. One important point: the free spin offer is only available to players from the UK, Norway, Sweden and Finland. Don’t worry about bonus codes when it comes to claiming your welcome bonus from Mr Win Casino. You will be given the option to select either the cash bonus or the free spin offer when you make your first qualifying deposit. Just choose your preferred option and get ready to reap the rewards. Players planning to deposit a few hundred euros should definitely try the free spins option, as it gives better value for money. If bonus codes are needed for future bonus claims you will be informed. Mr Win doesn’t just offer slot games as a way for players to win some of that lovely loot. Step through the virtual doors of the live dealer casino and prepare to have your breath taken away by the selection of games available here. If you love live casino action then Mr Win should definitely be on your short-list of casinos to register with. There are more than 80 tables to choose from, so no matter which game you prefer or how much money you like to play with, there will be something for you to enjoy. It can be frustrating to have to wait to get onto a live dealer table, but that should not be a problem here. There are dozens of blackjack and roulette tables, plus Dream Catcher, various poker tables and just about any other live game you can think of. If you are one of the many players who prefers to do their casino gaming on a mobile device rather than a computer, then this may just be the casino for you. The site’s design is perfect for mobile users and it is simple to navigate on the smaller screen. You don’t need to download anything, just visit m.MrWin.com and use your login details to start playing. You will find a large selection of games available to you – from slots to live casino – and you can play no matter where you are. While some older sites aren’t great on mobile platforms, this 2017 casino is ideal for mobile players. Mr Win Casino tries to make it nice and simple to make deposits to and withdrawals from the site. That’s how it should be as there is nothing more frustrating than being unable to complete financial transactions. Lots of different currencies are accepted at this casino, including Canadian Dollar, Euro, Great Britain Pound, Japanese Yen, New Zealand Dollars, Norwegian Kroner, Polish Zlotys, Russian Rubles, South African Rand, Swedish Kronor and United States Dollars. Your payments can be processed using Bank Transfer, EcoPayz, MasterCard, Neteller, Skrill, Trustly, and Visa cards and Mr Win promises to process all transactions within 24 hours. Scroll down to the bottom of any page on this casino and you will see the comforting site of the Malta Gaming Authority logo. Mr Win is regulated by that body, which is good news for players as it is one of the strictest in terms of security and fairness required of the casino operators. Mr Win Casino uses the latest encrypted software to keep transactions secure and personal information private. The games are independently tested to make sure they pay out correctly, and of course all of that means that this is a site you can trust. Mr Win’s customer support team is ready and able to assist players and answer the queries they might have. You can get in contact with them by email to support@mrwin.com or by using the live chat that is available on every page at Mr Win. The customer support team is highly qualified and knowledgeable about all aspects of the site. If you do have any suggestions on how to improve the site simply drop them a line via email with the subject line of ‘feedback’. Unfortunately, no phone support is on offer from this casino. This casino was created in 2017 and you can see that it was designed with mobile players in mind. With well over a thousand games to choose from there is a lot to like here. The free spin bonus offer is a novel one, even though it is restricted to just four countries, which means most people will not be able to take advantage of this. The live dealer casino is excellent, with more than eighty tables to choose from. 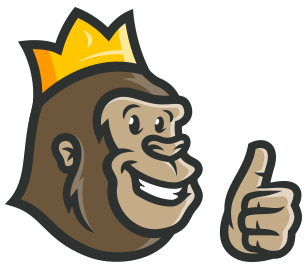 All told, the Casino Gorilla feels good about Mr Win Casino – this one is definitely no loser. Signed up with no problem, but couldn’t withdraw even after meeting requirements. Contacted support and they said the problem would be addressed. Took over 2 weeks to withdraw the money. I haven't heard of this casino before I decided to take the plunge and register. The verification process was very easy and fast. I was quite relieved after I found out they have licenses from the Malta Gaming Authority. A safe and fun casino for all the gambling fanatics out there.